To commemorate 35 years of both Transformers and Ghostbusters, they decided to do a crossover and here we have it. The 80s kids would never imagine it but it is true! Behold Ecto-1 Transformers!! 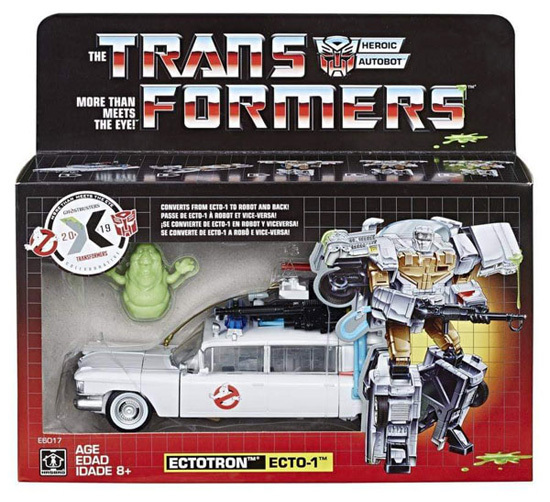 The packaging is using G1 Transformers package design with Vehicle mode of Ecto-1 display along with a figure of slimer. 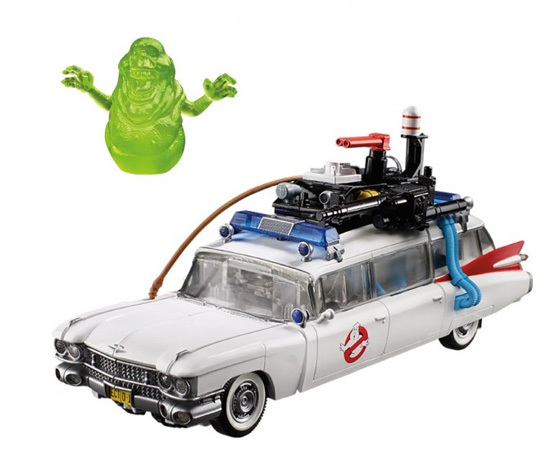 The vehicle has many exact details of Ecto-1 and the slimer is in a translucent green form. 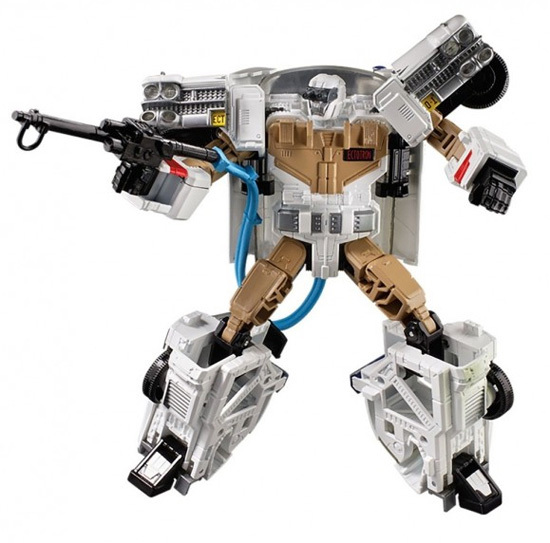 The figure named as ECTOTRON when transformed will be standing at a height of 7" with 22 movable parts. Weapon of course will be a proton pack to hunt slimer. This toy will be releasing on 31st of July 2019 at US$49.99. This is a must get for 80s kids.